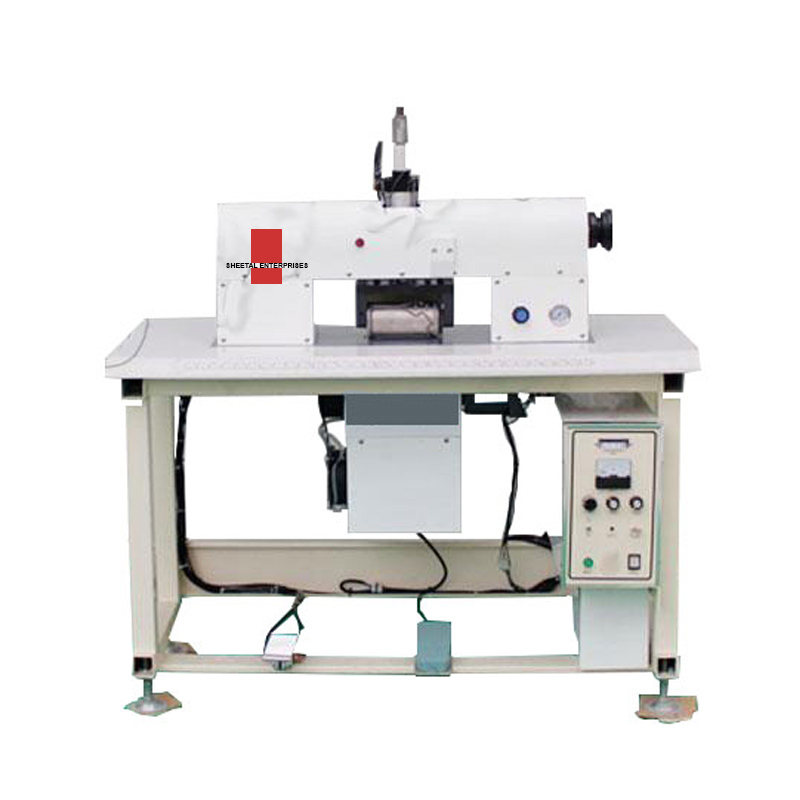 The Ultrasonic Lace Sewing Machine, also could be called ultrasonic lace machine, ultrasonic sewing machine, is efficient sewing embossing device, use to sewing, welding, cutting and embossing synthetic fibre material. 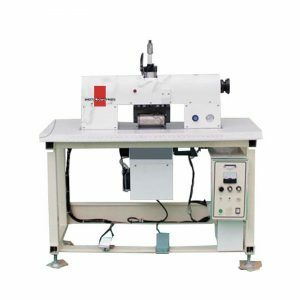 Processing without needle and thread, final products can be water tightness section without rough selvedge and smooth. 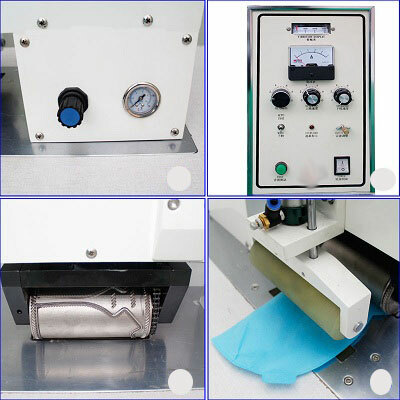 Widely use to process clothing, toys, food and non-woven materials. 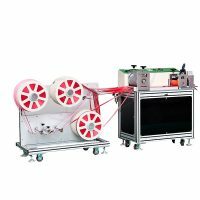 Our company provide: ultrasonic lace sewing machine (A type), ultrasonic lace sewing machine (B type), double column type ultrasonic lace sewing machine and non-standard ultrasonic lace sewing machine to satisfy various industries’ requirement.” Your professional auto non-woven sewing cutting machinery designer.” is our declaration. 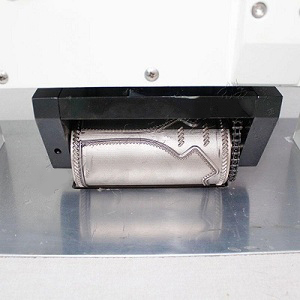 The ultrasonic moulds (ultrasonic die) of ultrasonic lace sewing machine made of special alloy steel is pretty durable by special heat treatment, and long using life. Use 20KHZ low noise ultrasonic system, prevent noise interference. 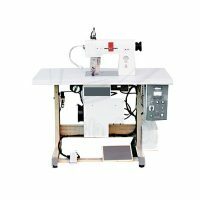 The ultrasonic lace sewing machine could sew up various kinds of materials directly, meanwhile, can do trimming, punching, impressing, then finish the products producing one time directly, without loose edge and hole. 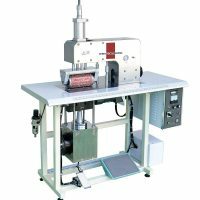 This machine use ultrasonic for cover sewing, pressing and embossing, the design can be changed according to customers’ requirement; the output power can be adjusted according to different thickness material. 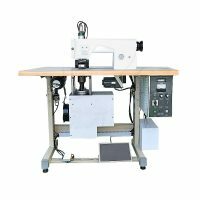 You can combine many sets machine to process wider products like: quilt cover, sunshade. 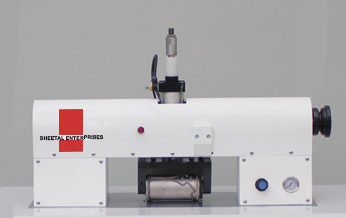 Casting structure main part, sturdy and durable, metal plate shell, easy to open it while maintain.